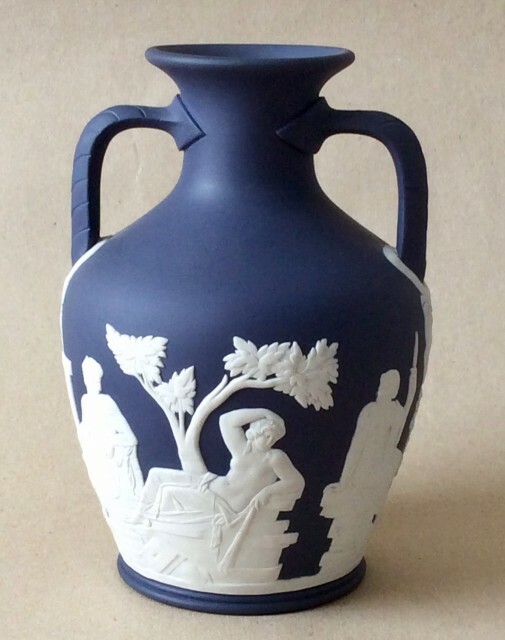 Vintage Wedgwood jasperware Portland vase. 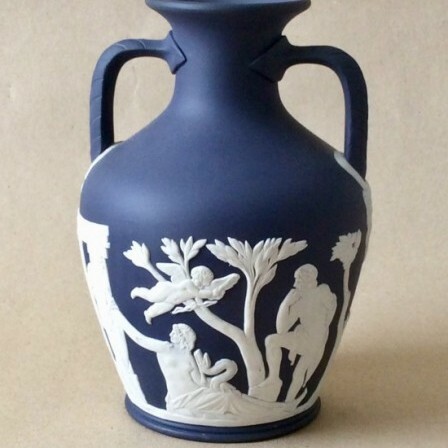 Description: Wedgwood dark blue jasperware Portland vase. No damage or repairs. 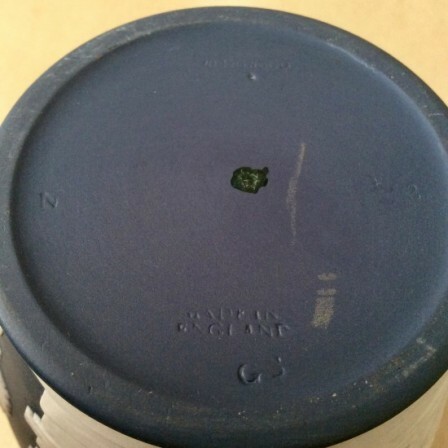 Marked ‘WEDGWOOD’ and MADE IN ENGLAND. Impressed to bae GS and N and 2.